Heading to Roatan and want to get a head start on your underwater photography training? Just wrapped up your training in Roatan and want to do some follow-up sessions to keep your knowledge fresh and your photography moving along? Can't get to Roatan right now but want to work on your underwater photography? Or maybe you're considering investing in some new equipment and need some advice? Our online sessions are our most flexible and personalized training program and can happen wherever you are in the world from the comfort of your own home. We'll meet you for a video chat on Skype or FaceTime for a one-on-one training session tailored to your photography goals...and it's even possible for us to share computer screens. Online sessions are great for photographers of all levels and can cover a wide range of topics from the basic to advanced. If we haven't met before, our sessions usually begin with a portfolio review of your recent images so we can evaluate where you are and decide how to best help you achieve your goals. Our discussion will cover composition, lighting, exposure, camera settings and editing technique as they relate to your images. We'll also talk about your equipment and how to optimize its capabilities. If you are thinking of investing in new equipment or adding to what you have, we can help you figure out what you need to best meet your goals and budget. Moving forward with additional sessions, we may discuss topics such as shooting in full manual, macro photography, shooting sunbursts, how to find your shot, workflow, file handling, editing and much more. Here's how it works. Send us an email letting us know your goals for an online training session. Please include information such as your current underwater equipment, your experience level, your location/time zone, and what days and times work best for your schedule. We'll get back to you with our recommendations on how to best proceed with your training as it relates to your goals as well as some available time slots. You'll upload a selection of your most recent work to a shared Dropbox folder for us to review before your session. Together we'll agree on how to proceed and firm up a meeting time. Online sessions are charged on an hourly basis and can be split into multiple sessions to be as conducive to learning as possible. Each session typically lasts 2 hours but will depend on your objectives and schedule. Payments can be made by PayPal ahead of your session. For more information about how our online sessions can help you take your photography to the next level, please contact us. We look forward to hearing from you! 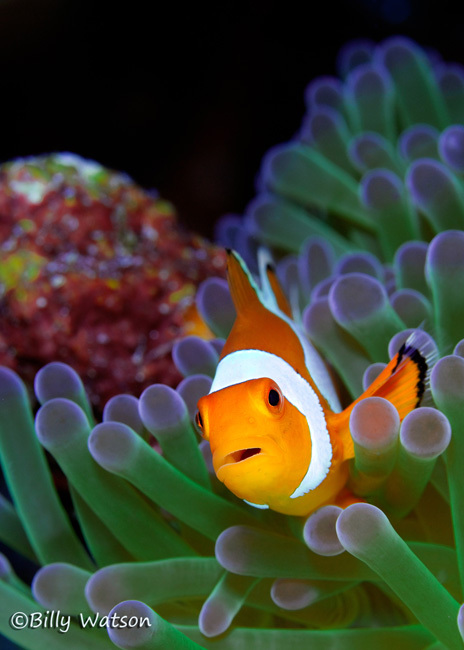 "Looking to up your game in underwater photography? Let me share my wonderful experience with online mentoring provided by Francesca at Roatan Underwater Photography. She’ll develop an understanding of where you are in your own knowledge of photography, camera equipment and underwater housings and strobes. She will meet you wherever your current skill level is. I felt my biggest areas requiring improvement were illumination and composition of wide angle scenes. Her feedback of each image I provided her focused on these two areas in a way that was easily understood, practical and thorough specifying the strengths and suggestions for areas of improvement for each image. Additionally she was more than willing to share her knowledge of image post processing, suggestions for equipment for my photography goals and best practices for posting my images. I intend to take advantage of her one-on-one dive photography course. I believe I will be able to put her suggestions into practice and my images will benefit immensely from all I learned from her online mentoring."